From the author of Trucks Roll!, an up-in-the-clouds exploration of all things airplane. and it’s yours to travel. 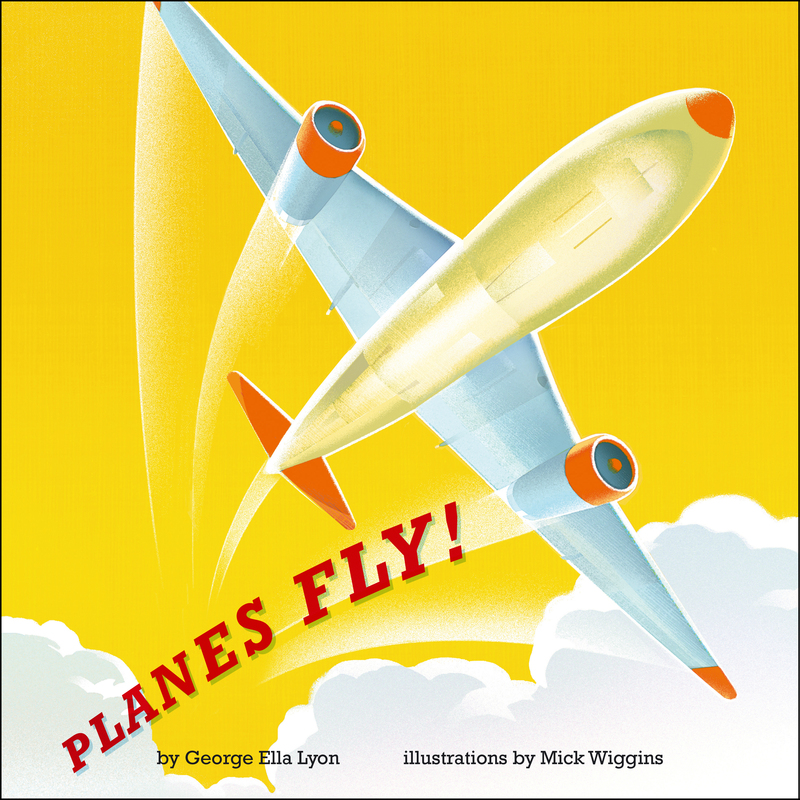 Take to the skies with this fun, rhyming book about all that planes do! From jet planes to puddle jumpers, from the cockpit to the rudders, this book explores it all—and the bright, dynamic illustrations will keep even the youngest of readers engaged. "Lyon takes off to the sky with this exuberant book. Jaunty, bouncing-off-the-tongue rhyming text names aircraft parts, lists different kinds of planes, and describes passenger air-travel experiences, repeating the upbeat refrain, “Planes fly!” throughout. Wiggins’s retro-style illustrations amplify the cheerful tone with bright, bold colors and strong, streamlined images. A wonderfully diverse cast of passengers in the aerobus includes a nervous little girl and a little boy. Everything radiates excitement, safety, and competence–even the ominous thunder clouds part for a plane’s passage. A reassuring rundown of events that happen between buckling the seatbelt and touching down for landing (including a snack and a nap) makes this title helpful to those new to flying, but it just might fly off the shelves where transportation books are in high demand." 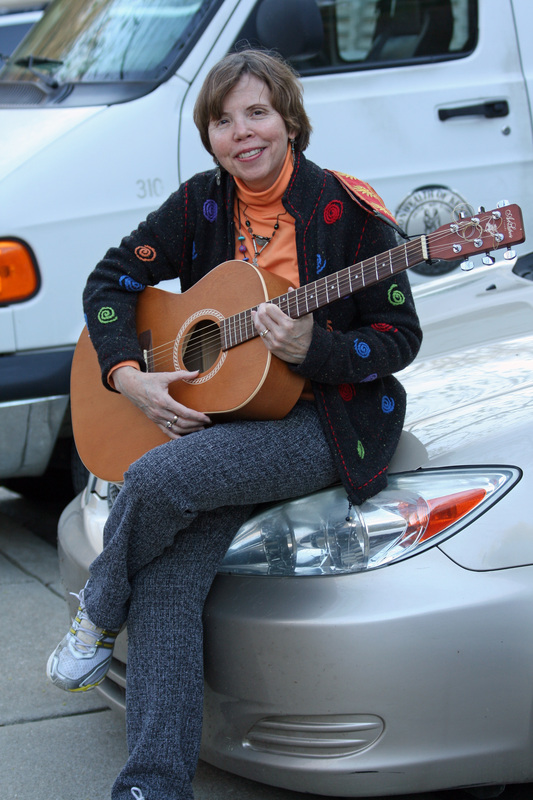 * “Imagination takes flight in this masterfully illustrated, bouncing verse for the plane-obsessed. "From the opening sky-blue endpapers, showing the looping paths of paper airplanes launched by silhouetted children, to the concluding endpapers, in which a variety of planes trace similar looping patterns in the sky, this beautifully designed picture book focuses on flight. After introducing many types of aircraft, their purposes, and some of their features, it brings the viewer on board for the experience of flying in a passenger plane. Lyon’s rhyming text includes staccato lines that name types of flying machines and communicate the experience of flight, alongside original, childlike phrases, such as “Hand-built gliders / take-you-for-a-riders. / Big air buses / room-for-all-of-us-es.” The text leaves plenty of room for illustration, and Wiggins takes full advantage of it in a series of striking images depicting planes in flight, airplane and airport personnel, and a diverse group of passengers. The digital illustrations include a variety of lovely textured effects suggesting light, shadow, and movement. Color is used for beauty and dramatic effect in some scenes, for warmth or definition in others, and in one double-page spread, to create a modern landscape of farmland and mountains as viewed from the air. Children intrigued by flight will enjoy every page of this dynamic picture book." Book Cover Image (jpg): Planes Fly!